Talk about something you are familiar with or are passionate about. This way you can write more naturally and it makes for an easy read. Research your topic and check for accuracy. It is always good to do your homework and present factually correct information. The perspective of the audience changes the scope of the post. For example if you’re talking about transportation safety, it’s different if its intended for a technical audience or for a consumer audience. The saying “A picture is worth a thousand words” holds true for blogs as well. Images provide nice breaks in the text and visual stimulation. Format your content, so that it is easier to read, understand and has aesthetic appeal. This means having meaningful headlines and sub headlines, which add value to your post. There is no correct writing style. Just try to keep things clear and to the point. One of the ways you can achieve that is by having short sentences and short paragraphs. Another not to repeat yourself. Sometimes it’s better to wait a day or two to do that. If possible get a second person to look over your work. They may find something you overlooked. No post is perfect. There’s always room for improvement. Do the best you can, in the time you have. Sometimes having a schedule (self-imposed) helps in being a diligent blogger. So keep on writing and publishing. If appropriate wrap up your post with a conclusion or a final say. Also don’t forget to invite comments and connect with your readers by posting it on social media. 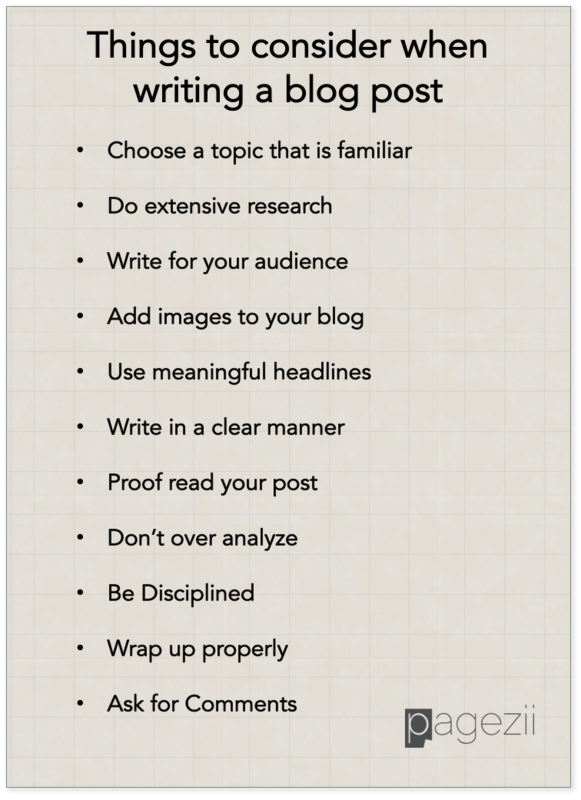 These are a few ways to become a blogger. If you’ve other tips please comment below. Remember once you start and keep at it, it gets easier with time. Happy Blogging.